The National Museum Wales received a Royal Charter from King Edward VII on 19th March 1907. Thus began the story described by its present Director-General, Michael Houlihan, as that of ‘100 years dedicated to collecting and sharing the treasures of Wales’s environment and culture’. Dr John Morgan-Guy, Research Fellow on the Imaging the Bible in Wales Project, represented the project team at a Reception at the Hilton Hotel, Cardiff on 15th February 2007, held to launch the Museum’s Centenary celebration and programme. That programme was introduced by Mr Houlihan, and by Clare Hudson, Head of English-language Programmes at BBC Wales. Mr Houlihan mentioned in particular an exhibition of the drawings of Leonardo da Vinci which is to be held at the Museum from 23rd March-3rd June – drawings lent specially by gracious permission of HM the Queen from the collection in the Royal Library in Windsor Castle. He also highlighted the exhibition ‘Industry to Impressionism’, to be held from 14th July until 6th January 2008, which will pay tribute to the remarkable work and generosity of Gwendoline and Margaret Davies of Gregynog, whose bequests between 1951 and 1963 left over 250 major works of art to the national collection. Two other museum projects, both of which have a member of the Imaging the Bible team as a consultant and academic adviser, the St Teilo’s Church reconstruction and Oriel 1, a new gallery dedicated to the theme of ‘Belonging’ and exploring the meaning of being Welsh, at the St Fagans National History Museum, were also brought to the guests’ attention. In her address, Ms Hudson spoke of the fruitful collaboration which has existed since the 1920s between the museum and the BBC, and outlined some of the ways in which both radio and television would be participating in the activities of the Centenary Year. 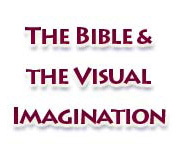 The Imaging the Bible in Wales Project has the National Museum Wales as a collaborating partner, and members of the museum’s curatorial staff on its Advisory Panel. The knowledge and expertise of museum personnel is thus readily available to the project team.